Краткое описание: The game starts in New York City, where President Ronnie (based on former U.S. President Ronald Reagan) has been kidnapped by the nefarious DragonNinja. The intro says: "Rampant ninja related crimes these days... Whitehouse is not the exception...". As soon as that occurs, a Secret Service agent (who resembles Arnold Schwarzenegger as he appears in The Terminator) asks two street-smart brawlers, named Blade and Striker: "President Ronnie has been kidnapped by the ninjas. 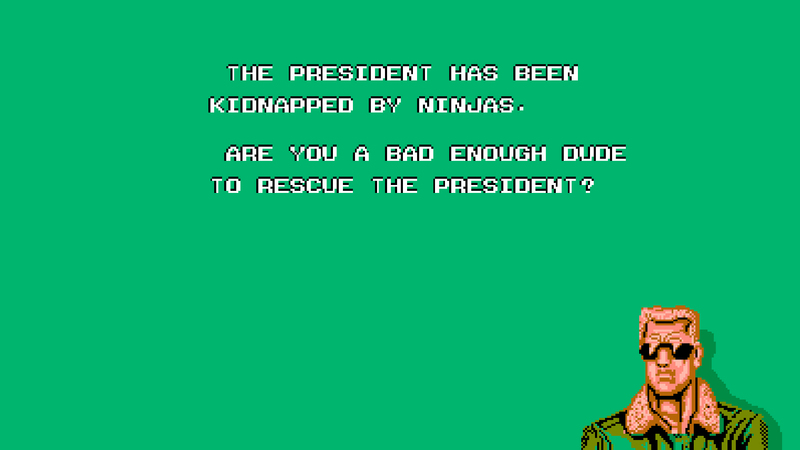 Are you a bad enough dude to rescue Ronnie? ", which this quote became an infamous meme and is often lampooned on the Internet. In the Japanese version, however, the words are completely different. 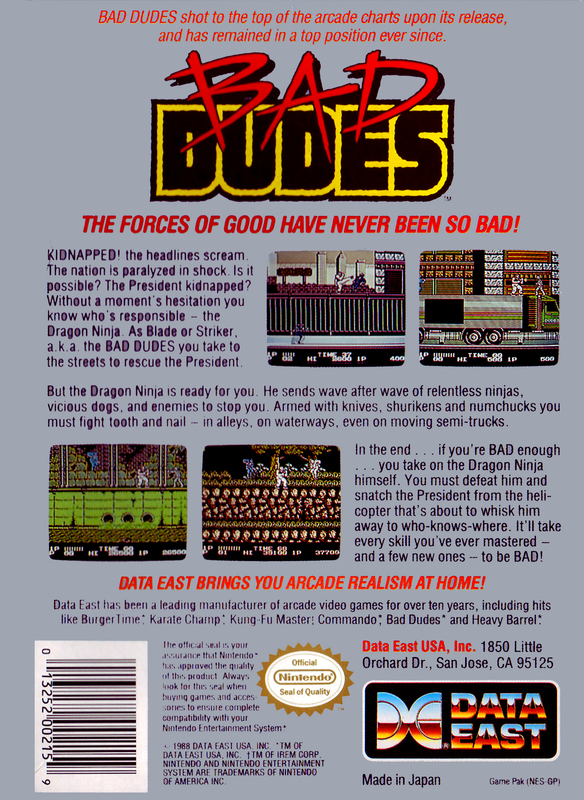 After they heard that, the Bad Dudes confirmed it by pursuing the DragonNinja through the city streets, highway, sewers, transport train, forest, cave and into the secret ninja base, in order to save President Ronnie. 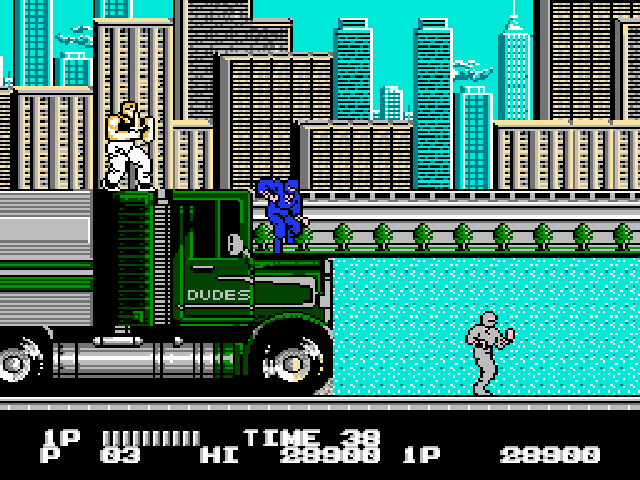 The game starts in New York City, where President Ronnie (based on former U.S. President Ronald Reagan) has been kidnapped by the nefarious DragonNinja. The intro says: "Rampant ninja related crimes these days... Whitehouse is not the exception...". As soon as that occurs, a Secret Service agent (who resembles Arnold Schwarzenegger as he appears in The Terminator) asks two street-smart brawlers, named Blade and Striker: "President Ronnie has been kidnapped by the ninjas. 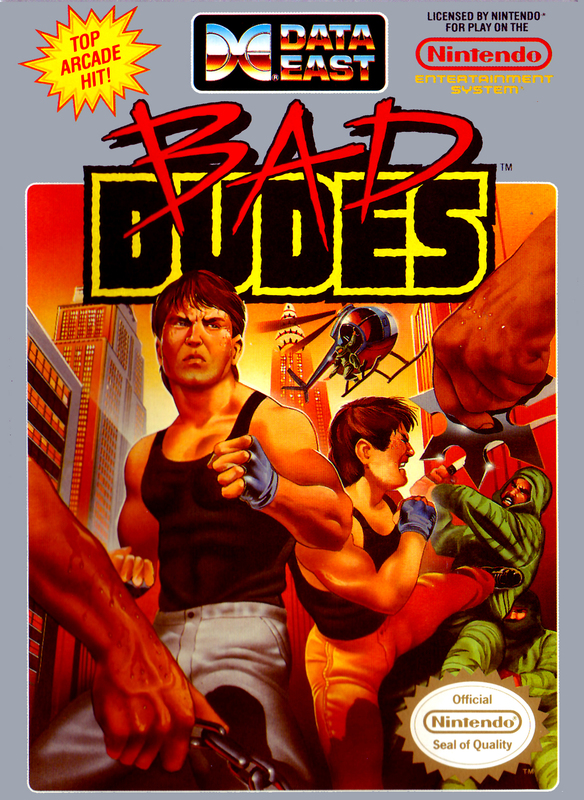 Are you a bad enough dude to rescue Ronnie? ", which this quote became an infamous meme and is often lampooned on the Internet. In the Japanese version, however, the words are completely different. 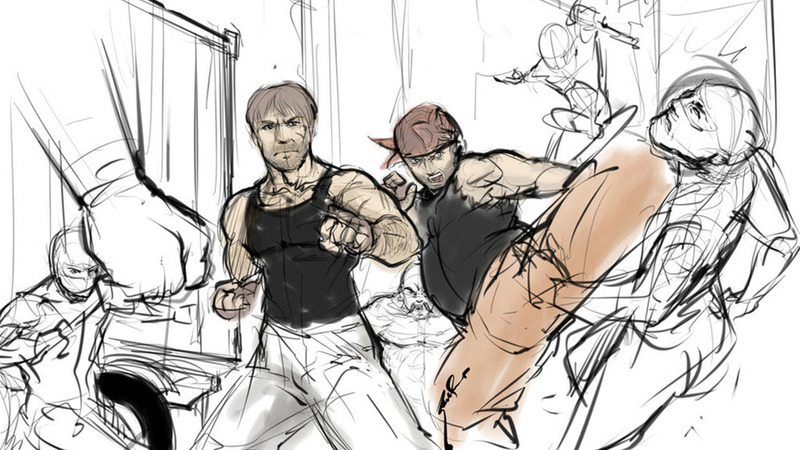 After they heard that, the Bad Dudes confirmed it by pursuing the DragonNinja through the city streets, highway, sewers, transport train, forest, cave and into the secret ninja base, in order to save President Ronnie.